Start dreaming up creative earring designs with this bezel earring post from Nunn Design. This earring features a circular bezel on the front. You can fill the bezel with a cabochon, resin, or epoxy clay. This component really allows you to get creative with your style. Earring backs are included so these earrings will stay secure while wearing and storing. This earring features a versatile silver shine, so you can use it with any color palette. Unique and modern style fills this Nunn Design bezel earring post. This earring features a triangular bezel on the front. You can fill the bezel with resin or epoxy clay. This component really allows you to get creative with your style. Earring backs are included so these earrings will stay secure while wearing and storing. This earring features a versatile silver shine, so you can use it with any color palette. Create unique earring designs with this bezel earwire. This component features a classic earwire shape that ends with a small circular bezel. The bezel is 6mm in diameter, so you can showcase a small cabochon or fill the bezel with resin or epoxy clay. These earrings are the perfect way to create custom style. 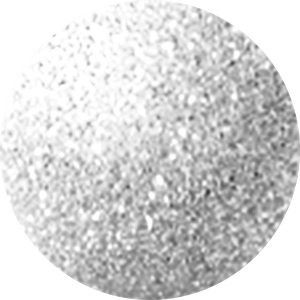 They feature a silver shine full of versatility. Create unique earring designs with this bezel earwire. This component features a classic earwire shape that ends with a small circular bezel. The bezel is 6mm in diameter, so you can showcase a small cabochon or fill the bezel with resin or epoxy clay. These earrings are the perfect way to create custom style. They feature a regal golden shine full of classic beauty. For one-of-a-kind style, start with this bezel earring post from Nunn Design. This earring features a teardrop-shaped bezel on the front. You can fill the bezel with resin or epoxy clay. This component really allows you to get creative with your style. Earring backs are included so these earrings will stay secure while wearing and storing. This earring features a versatile silver shine, so you can use it with any color palette.